This item will be shipped within 10 - 20 days. 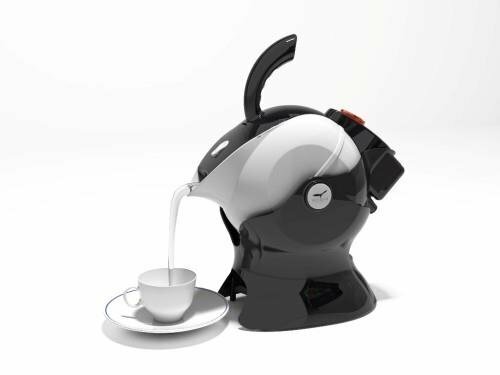 The effortless ‘power-steering’ pour action of the Uccello Kettle was designed using the unique PowerPour technology. 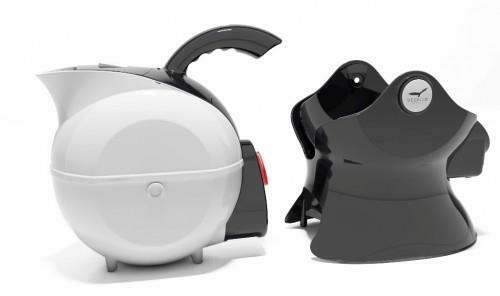 The Kettle’s non-weight-bearing ‘tilt and pour’ action from the ergonomically designed handle directs hot water to the fixed position of the cup, without removing the Kettle from its cradle. 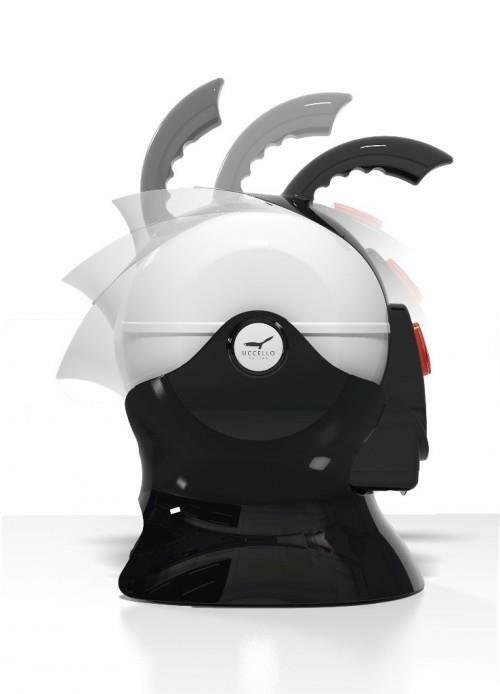 The weighted base of the Kettle arcs on a rotating axis to deliver hot water safely and steadily, every time. We reccomend using one of our A3 contrast placemats underneath the Ucello Kettle. You can easily mark the placemat to ensure optimum cup placement to avoid missing the cup and any spills. Housing, handle and base: Polypropylene (PP) (#5), a thermoplastic polymer. BPA free.